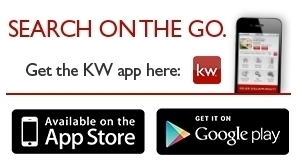 Click the image above to get FREE instant access to local homes from any cell or tablet. Welcome to Sheila's Myers' website, specializing in properties in Franklin, as well as Otto and Northern Jackson County in North Carolina. As a Real Estate agent in Franklin for 15 years, I have the experience needed to provide you the guidance to purchase your desired home or property in the area. If you are a seller; as a Keller Williams agent, I have the tools necessary to feature your listing not only in the country, but also around the globe. Are you looking for a Single Family home? A Mobile home? Or a property with a view? This website can help with your search. Whether you are searching for your dream home, or searching for a prime investment, Sheila is the Real Estate agent for you! Do you qualify for a loan? Click here to find out now! Carolina Smokies listings last updated Apr 24, 2019 9:03:pm.